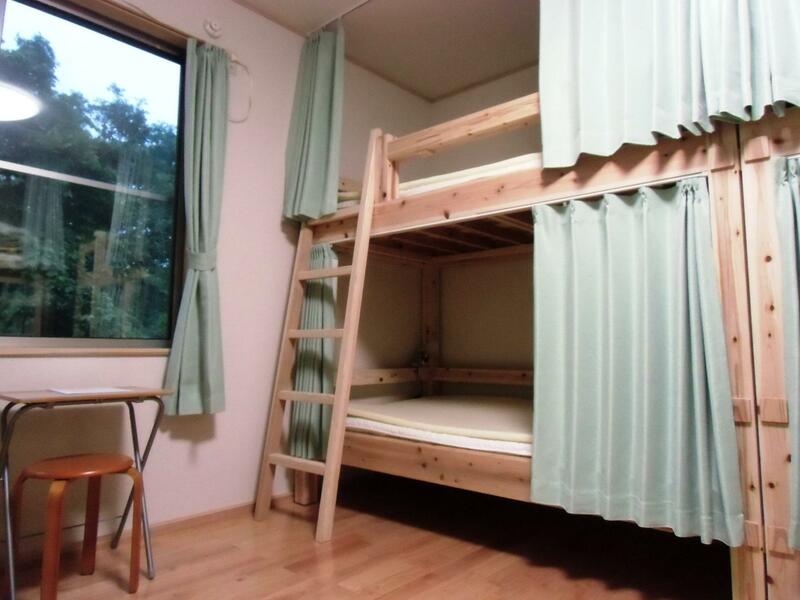 The apartment is located near a river and We can enjoy a large private area during the night. Also, the host is a nice man and helpful to suggest the attractions to us. The decoration of the house is very unique and unforgettable. THis would have been a great place to stay during peak season, but I was there during low season & there was not much open 7 it was hard to catch the bus to get around the island. The place is super clean & the owner is really friendly, just a little too far away from everything! 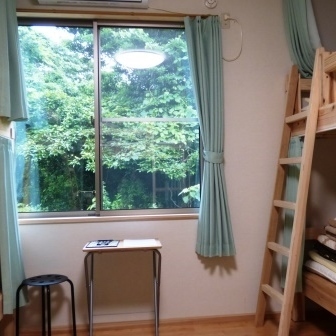 First of all, I wanna say I will definitely book this hostel next time I come to Yakushima! Still remembered the heavily rainy day we arrived yakushima, we drove passed-by the hostel at least 5-6 times but neither of my boyfriend and me found it. After wasting at least 2 hours to look for it, we successfully located it at around 9:30 p.m. but found the owner had already been back to his house. Luckily he lived nearby and came back to help us for checking-in. Although he blamed on us to being so late, his sincerely care made us feel warm, he worried about us missing the boat actually. Secondly, most of people in Yakushima don't know any English, but this owner can speak fluent English and even showed us to see the oldest tree in Yakushima. No problem in communication this time. 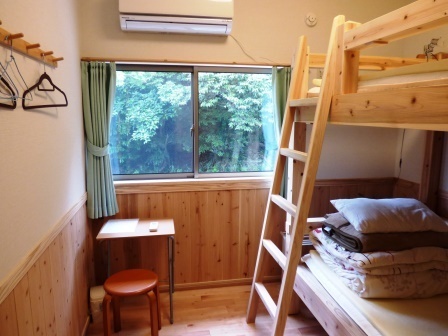 (although I can speak Japanese, but highly recommend people who dunno Japanese to stay this hostel). 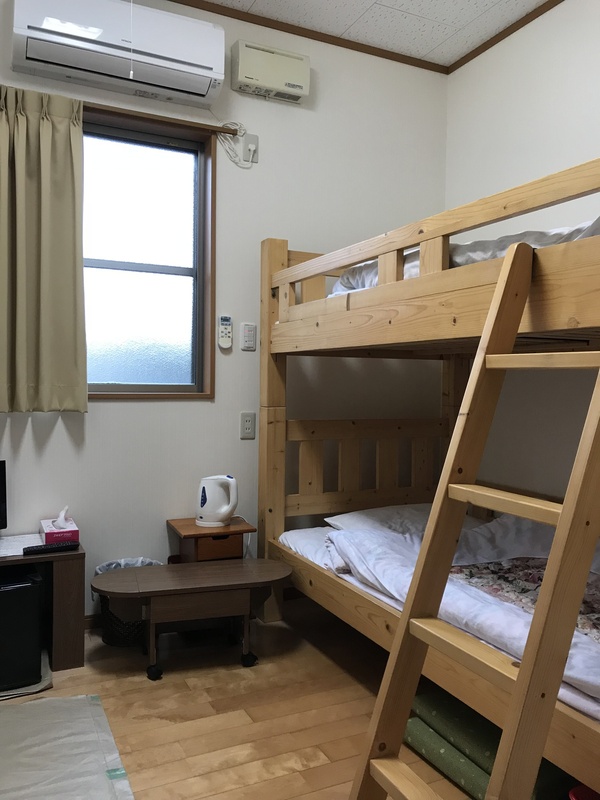 Last but not least, this hostel is located next to a river, if you are luck to have a sunny day in Yakushima, the amazing view from this hostel will let you surprise. 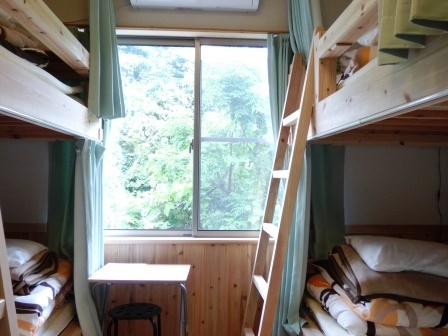 Anyway, I will come this hostel next year! Rude and unfriendly owner, YOU SHOULD NEVER SCREAM WITH A GUEST OR ASK A GUEST TO MAKE BED! Location is inconvenient, electric fence on the way to the busstop. It is DANGEROUS TO GO OUT IN THE DARK, YOU CANNOT FIND THE BUSSTOP OR GO OUT IN THE NIGHT. I WOULD NOT RECOMMEND TO STAY THERE. very nice until a branch cracked the windshield of rented car and found out that even though i had bought the onsurance, i had to pay 30,000 yen (@$300) for the days the car willbe unrentable! very p.o. 'd about that! usurious charge! their car, their business cost! my insuranceshould be enough. had nothingto do with theguesthouse. ruined my vacation. was not my fault, insurance was paid, but they collected additional money for a one hour job ( replacing a sindshield) they collected six days rental! very unpleasant! be forewarned! insurance doesnt mean zip in japan. It was a wonderful experience to meet Hiro and the guests at his guesthouse. The whole place is so clean and comforting. it was a little difficult for us to find the place initially but Hiro's map helped a lot. Please use the map. It will be difficult without the map as the GPS will lead you to somewhere else. 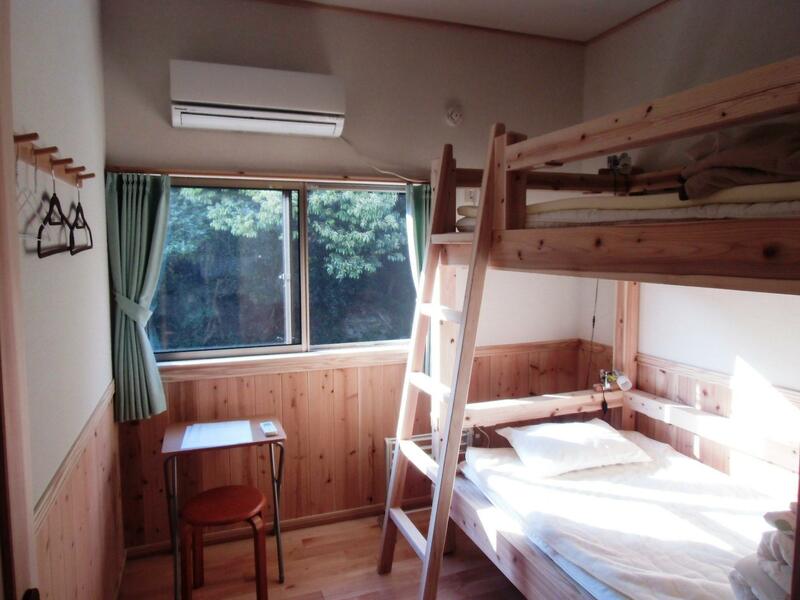 Yakushima Guesthouse is really a very nice place. I highly recommend anyone to stay there. 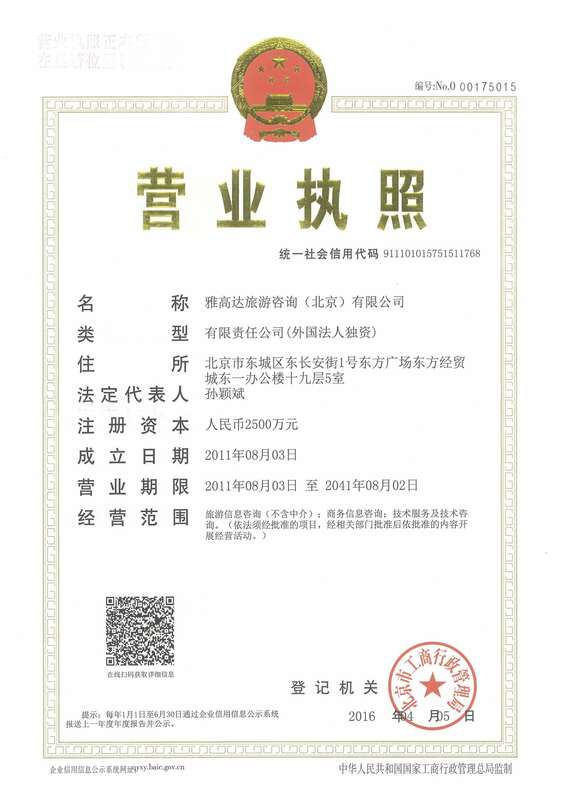 It is right in the middle of beautiful nature and is clean and well organized. On top of that, the owner is quite helpful and nice. 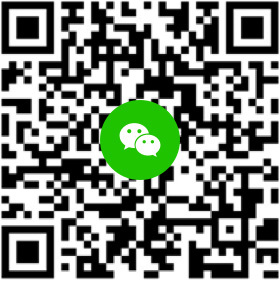 If you are looking for a quite and clean questhouse, this is a perfect place to go to. Only problem is there is nothing near the questhouse. If you don't have a car, buy the free bus ticket to save money to go to a supermarket, which is only 7 bus stops away from the QH and takes less than 10 minutes. Plz be aware that bus ride is quite expensive. For instance, from ando port to the quest house is more than 7 bucks and from another port is 11. plan wise beforehand. The best plan is staying 4 days and the unlimited bus ticket in only 36 dollars. One day free bus is 2000 yens, 2 days 3000, and 3 and 4 days the same - 4000. Enjoy staying at this guesthouse. Very clean. Great location in nature. And very helpful owner. The guesthouse is very clean. The owner knows a lot for the island and offered a lot advice. A very pleasant stay. Hiro, the host, was the most helpful and caring person. He made our stay so enjoyable and run as smoothly as possible. The guesthouse was very clean and had excellent facilities. Our stay at the Guesthouse Yakushima was amazing. Hiro, the host, really made our time in Yakushima unforgettable. He was incredibly friendly and helpful, and went above and beyond what most places offer. It was a pleasure to stay here and we look forward to visiting again someday! 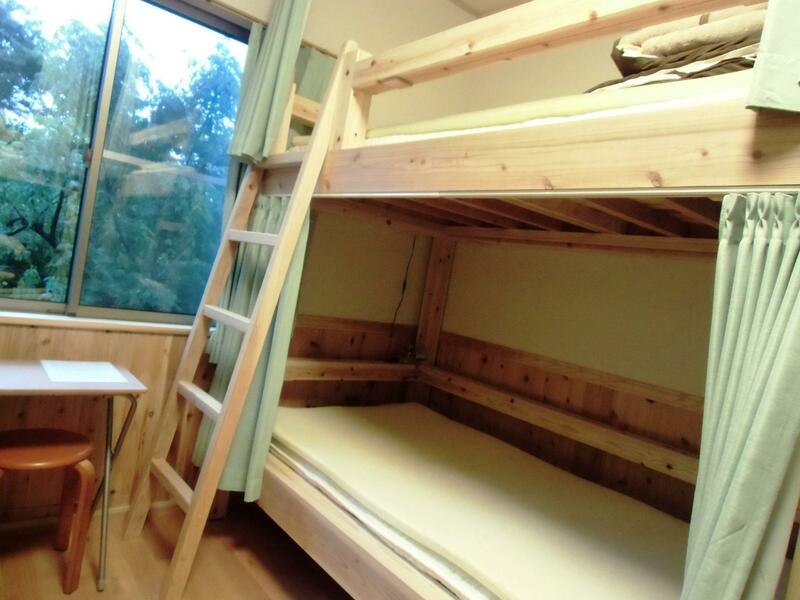 As well as being brand new, the facilities at this hostel are kept in an immaculate condition by the sprightly owner. The location is away from towns, surrounded by thick forest, close to a mountain trail and two impressive waterfalls. At the same time it is a very short walk to the bus stop. It's a great location for bus access to the other waterfalls, onsen and the Jongmo-sugi walking trail from Anbo. It had a great atmosphere in the communal kitchen helped in no small part by the friendly owner who is always on hand to give advice or if you wish help your planning to make the most of the island.